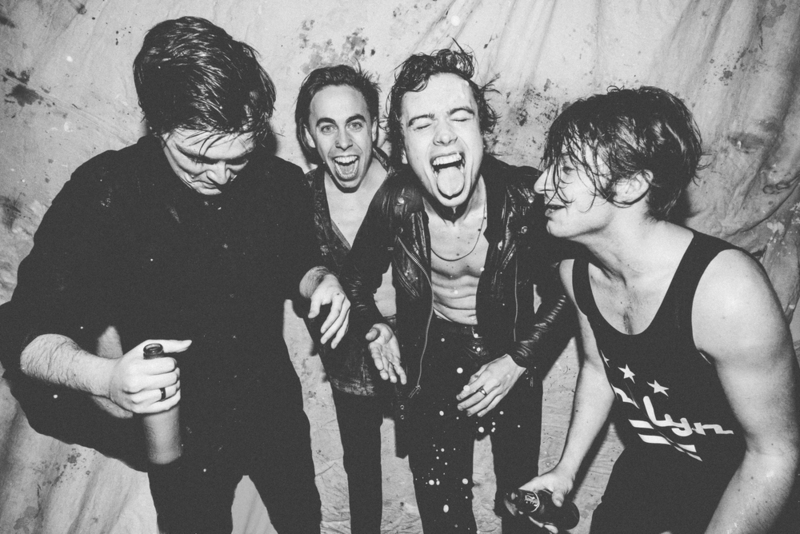 Otherkin is a new band from Dublin, Ireland. College pals Luke, Conor and David first had the idea for the band in 2010, but Otherkin did not coalesce until they found drummer Rob “on the internet” in late 2012, drawn together by a shared love of early Noughties “The” bands (Strokes / Hives / Vines / Libertines). After a couple of hand-made, self-released releases, Otherkin hit their stride with the rambunctious grunge-pop single “Ay Ay”, which came to the attention of leading Irish indie label Rubyworks (home of Hozier, Rodrigo y Gabriela) in early 2015. The 201 EP - their debut outing for Rubyworks - is a quartet of quivering, shivering bangers sure to light a fire in even the most jaded soul. The EP corrals the aforementioned ‘Ay Ay’ into the bruising company of new radio track ‘Feel It’, plus two more brand new songs ‘20 To 11’ and ‘Love’s A Liability’. Otherkin made its UK festival debut at Leeds / Reading in summer 2015, and the band is currently on its first full-length British tour, before heading back to Ireland to open for Britpop icons Ash on winter dates. 2016 looks bright already with confirmed shows at Eurosonic (Netherlands), The NME Awards (London) and The Great Escape (Brighton).